It would be too obvious to mention that this movie really has no point. I mean, it has a point, but really only in a larger, existential sort of way. But really, anyone going into watching a Richard Linklater movie should know better than to expect a typical plot sequence. The movie also served as a sort of cultural time capsule for viewers--I was able to re-live everything from teaching Britney Spears' dance moves in Oops... I Did It Again to my sisters in a hotel room before getting security called on us for being too loud, to the painful Soulja Boy movement when everyone suddenly thought they were cool if they could mimic the dance. The soundtrack adds so much value to the movie because of the memories that music can evoke. Who, upon hearing certain songs, isn't hit with a flood of memories of their first kiss, a road trip with friends, or even just a particular point in time like "the summer after 10th grade"? While other movies that span a significant amount of time show a scene or two of common childhood experiences to showcase the passage of time, this movie centers on those moments, and instead, cobbles together enough of them to assemble a movie. This, sprinkled with moments of reflection by the characters on the meaning of the journey, brings an extremely relatable quality to what is actually a rather deep movie without trying too hard. I can't stand him. I know it might seem too snarky, even for me, to pick on a child's acting, but the kid did not change facial expressions for the first 6 years of filming. He barely even talked. It was literally an hour and ten minutes into the movie before he showed even a semblance of a personality. And even then, it was sporadic and mostly unconvincing. 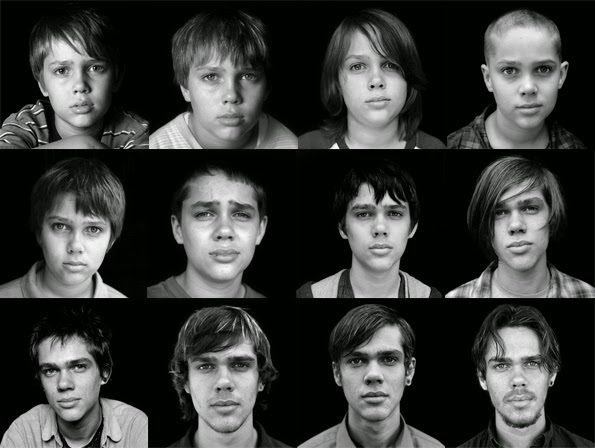 I've looked at it from every angle: Maybe Richard Linklater wanted the kid to be mostly silent in the early years to contrast with him coming out of his shell and into his own as he grew. Maybe he was silent to indicate the abuse he was internalizing from his environment. Maybe he was shy. The fact is, it doesn't matter. You can be silent and still act. You can convey emotions and thoughts and feelings through facial expressions. It's a scientific fact. That is, unless you're just a bad actor. So perhaps that prejudiced me because by the time he did develop a personality, I already hated him. I found him to be a whiny, entitled, lazy teenager who thinks he is somehow special, either due to his difficult upbringing or his "talent." (Just once, I'd like to see an indie-type movie that doesn't have the lead character as and artist/photographer/dancer/musician.) And I cannot imagine how difficult it would be to expose your awkward teenage years in front of a camera (just ask Chelsea Clinton), but honestly, the kid is just so unattractive, especially as a teenager, that it's difficult to watch. I know it sounds petty to be nitpicking his looks, but his No Country for Old Men haircut makes it impossible for me to ever like him. It's just a fact. It's unfortunate that the kid really spoiled the movie for me because Patricia Arquette and Ethan Hawke are wonderful in this. 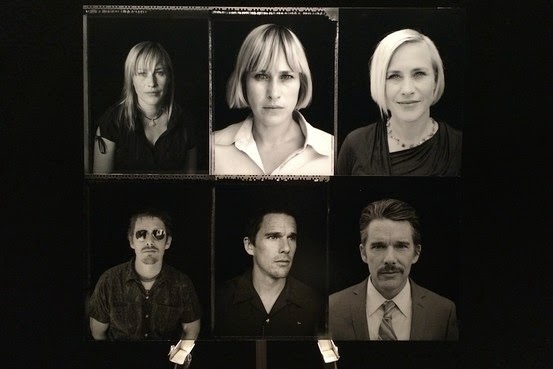 Ethan Hawke does his 'I talk too much and walk the line between charming and loser' thing and Patricia Aquette is convincing as a single mom who makes some poor decisions, but is sympathetic enough that you don't judge her too harshly. Even the daughter (who was a beneficiary of some obvious nepotism, which often goes so wrong) does a decent job throughout the years, though her role fades significantly as the characters grow up. In fact, everyone else shone so brightly in comparison to the kid that it made me think of The Fighter, where basically everyone but Mark Wahlberg was nominated for an Oscar, despite him being the main character. 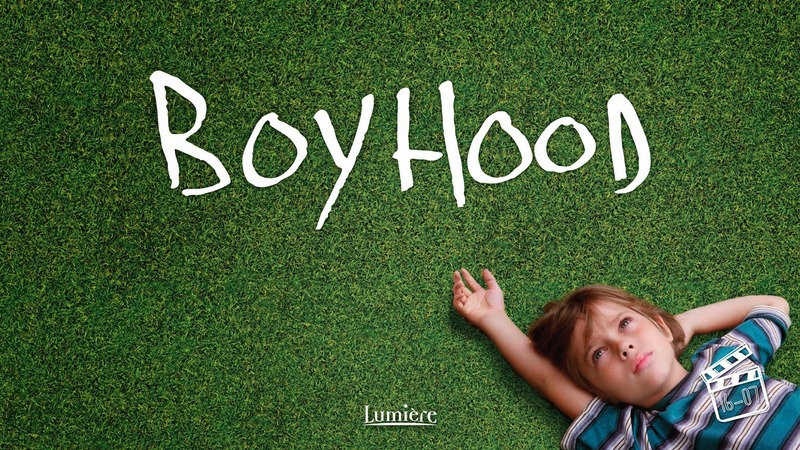 I'm starting to question whether the boy is really the main character at all, despite the name of the movie. Maybe it's my perspective as a parent, but to me, the real star was Patricia Arquette. Her story arc really resonated with me, as opposed to the boy's, whose life I could relate to, but didn't necessarily stay with me after the movie ended. And that is why, perhaps, in spite of a number of wonderful moments, I didn't walk away with a sense that this would really be the best movie of the year. Yeah, I just didn't see what the big buzz was about. I think people were just so dazzled by his shooting it over 12 years that they were very forgiving of the movie itself.